The US commercial casino market is in fine health according to the American Gaming Association’s annual economic report, with national revenues hitting $40bn for the first time in history. The American commercial casino market is booming. In 2017 the market welcomed record-breaking revenue figures, generated an all time high in gaming taxes and continued unabated on the upwards trajectory it has been on since the 2009 recession. The annual state of the states report from the American Gaming Association paints a particularly positive picture of an industry that has not only found firm financial footing but has evolved in line with wider socioeconomic and cultural trends. “America’s commercial casino industry enjoyed a record-setting year in 2017, with consumer spending on casino gaming surpassing $40 billion for the first time,” read the report. In what will be of little surprise, the Las Vegas Strip kept its place at the top of the pile and counted $6.46bn in gaming revenues. There was no change in second and third place with Atlantic City and the Chicagoland area pulling in $2.41bn and $1.97 respectively. One of the success stories of the year was the growth of the Baltimore/Washington DC market which made considerable strides up the rankings to fourth and saw $1.77bn in gaming revenues. This notable success follows the approval of expanded gaming in Maryland in 2008 and the late- 2016 opening of a major new resort casino just outside the nation’s capital. 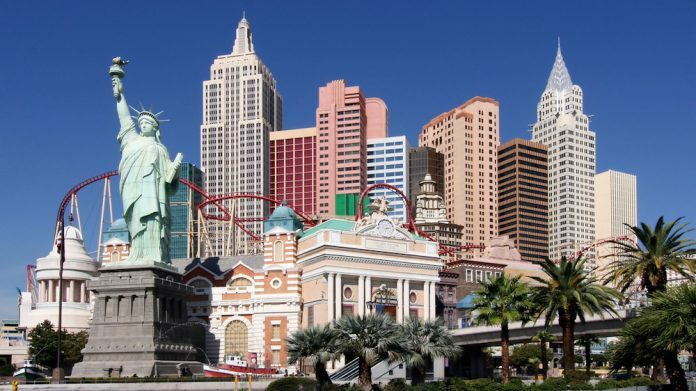 The region leapfrogged New York to reach such heights despite latter still reporting a year-on-year increase in revenues up to $1.57bn, following the opening of a gaming facility in the affluent Long Island area. In total nine markets brought in more than $1bn in revenues for the year. Across the nation 11 states, including the key markets of Florida, Oklahoma and Pennsylvania, saw record annual revenues, highlighting the progress being made outside of the historically prominent gaming hubs. Additionally a spate of new properties opened throughout 2017, providing boosts to related markets. Maryland welcomed its sixth casino, New York saw the opening of its first Vegas-style resort and Virginia cut the ribbon on a venues just outside of Washington DC. With this however, has come issues of competition. Maryland for example counted record yearly revenues due to its new market entrant but a number of existing operators felt the sting of cannibalisation. Teething problems these may be but going forward into Q4 2018 and beyond Pennsylvania will see up to 10 satellite properties enter the fray, New York will see a second resort property commence operation and the New England region will more than likely count new high profile ventures in Massachusetts and Connecticut. New venues have not been the only driving force however with many state’s enacting legislation to bolster the offering of currently operational casinos. “New gaming legislation in Pennsylvania was far from the only significant policy development in 2017 for the commercial casino industry. States such as Maryland, Nevada, New Jersey, Louisiana and Oklahoma, took steps toward enacting regulatory reforms to either encourage the adoption of new technologies, bolster the competitiveness of their casino operations or remove arcane restrictions that impede growth,” noted the report. The commercial casino market alone is only half of the story in the US and as of 2016 has been overtaken by tribal operations in terms of revenue generation and continues to perform well across the nation. “It seems both astonishing and appropriate to see U.S. tribal gaming mush- room into a $32BN industry almost exactly 30 years after President Ronald Reagan signed the Indian Gaming Regulatory Act (IGRA) into law,” the report read. With casinos beginning to operate sportsbooks and online gaming ever growing it is clear that the market is on the up and the smart money is on the good times to keep on rolling.